Brain Chamber Polysacks PVT Ltd offers container liner bag use for transport of bulk product in shipments. 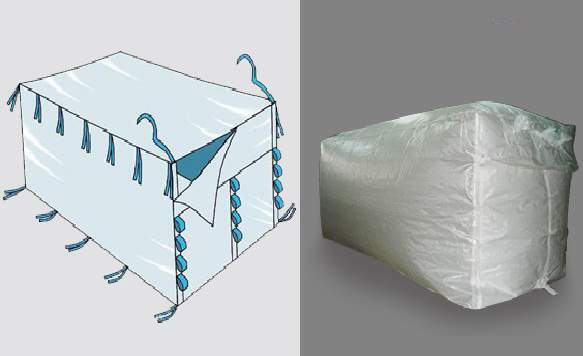 Container liner bag is manufactured by PP plastic granules laminated and has inlet outlet sprout for loading and discharging materials. Air ventilation is major benefit of bag which keeps the material moisture free. It is widely used in 20feet container to 40 feet container for transporting material as per requirements.